Disfrute del sol de Key West en una excursión en catamarán de día completo y participe en una variedad de deportes acuáticos. Mientras navegas por el atractivo Golfo de México, contemplarás el paisaje y verás la vida marina local. 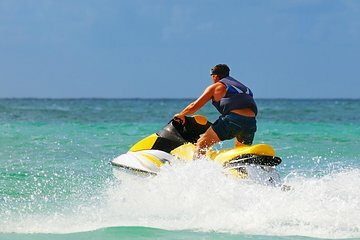 Elija entre una amplia gama de actividades, desde snorkeling y kayak hasta parasailing o adulteria impulsado por adrenalina en WaveRunner. El desayuno y el almuerzo se sirven a bordo. Vela y deportes acuáticos de Key West. Disfrute de un fantástico desayuno completo y almuerzo buffet. 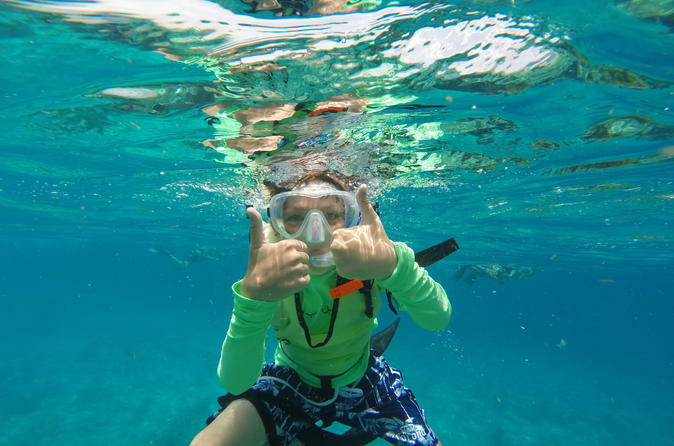 ¡Elige entre varias actividades acuáticas, como kayak, snorkel, parasailing y más! Salga del histórico puerto marítimo de Key West en catamarán y navegue hacia las aguas del Golfo de México. Con mares tranquilos y temperaturas tostadas, el cuerpo de agua es perfecto para un crucero diurno. Elija tomar el sol en la terraza y tomar el sol, o participe en varias actividades de deportes acuáticos incluidas. Use el equipo de snorkel para admirar escenas subtropicales debajo del agua o participe en un viaje en parapente para obtener adrenalina e increíbles vistas en igual medida. Dispara desde el barco en un WaveRunner, o toma un enfoque más pausado con un kayak alrededor de los manglares cercanos. Entre las actividades, ¡asegúrate de encontrar tiempo para comer! El desayuno y el almuerzo están incluidos a bordo, con delicias locales como pollo frito dorado y camarones al vapor. Su experiencia de un día completo termina en el punto de inicio de Historic Seaport. Staff was great, food was great, all the activities were wonderful! The next time I am in Key West I will definitely be booking another trip!!! This tour was amazing! !The Captain and crew were very nice and detailed about safety and the adventure throughout the day. Started approx. 10am in which we first went to a dock/barge to ride jet skis, a banana boat, kayaks while also able to play on a water trampoline and a water mat. You also can't forget about parasailing! After about a few hours the boat took to open waters as we sailed towards the reef to go snorkeling, during which time a very good lunch was served with plenty of snacks in between. After snorkeling there were more snacks and an open bar!!! for the way back to the dock which ended around 4pm. Great experience! I highly recommend the friendly/fun staff and the activities. Excellent adventure, I have actually sailed with this company out of Camden, ME also. Boat is not overcrowded, very good breakfast and lunch served onboard. Time to parasail, jetski, kayak, paddleboard, banana boat and water trampoline at the first stop. Second stop is snorkeling a corral reef, which was one of the most amazing experiences of my life. I would highly recommend this company over the larger company in the area. Look at the website and what they tell you to bring with you. The best advice is to listen to the crew, they are tring to keep you safe and it makes it a great experience. Full day of fun, food and activity. Very well worth it. Crew was amazing!